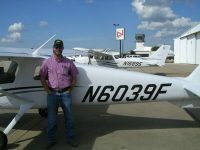 Brazos Valley Flight Services - Come Fly Today! 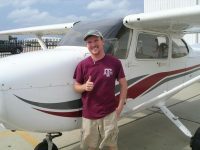 Providing flight training, aircraft rental and pilot services to College Station, TX and the surrounding region. Please let us know how we are doing. Our goal is to provide the highest-level of customer service and satisfaction. We care and we are listening! This feedback form is anonymous and is provided directly to the BVFS Director. Thank you for supporting our initiative to continuously strive for excellence. 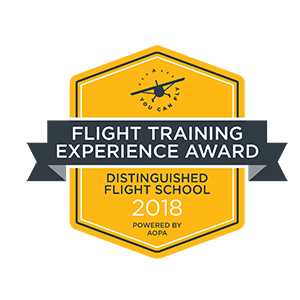 Brazos Valley Flight Services has received the AOPA Distinguished Flight School Award for 2018! 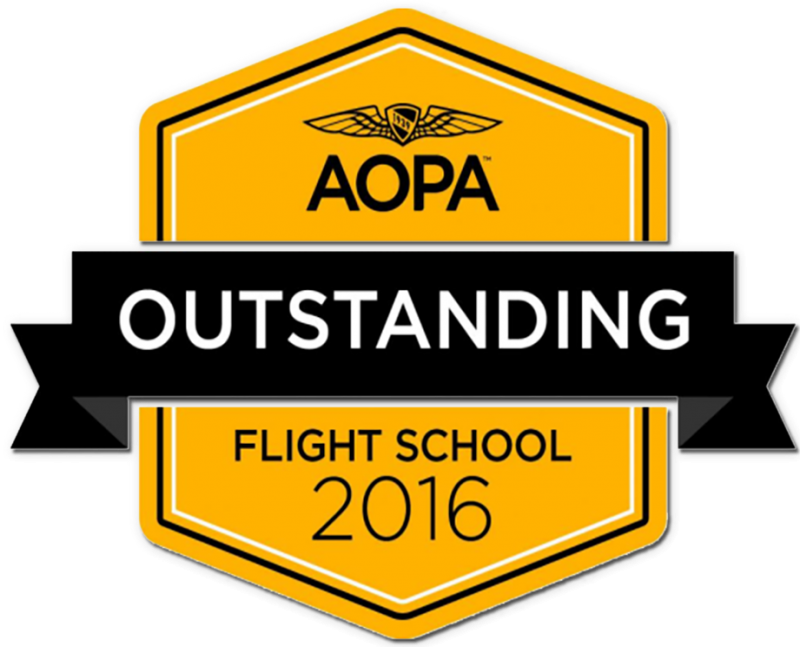 This is the third year in a row that our customers have voted us as one of the best flight schools in the country. 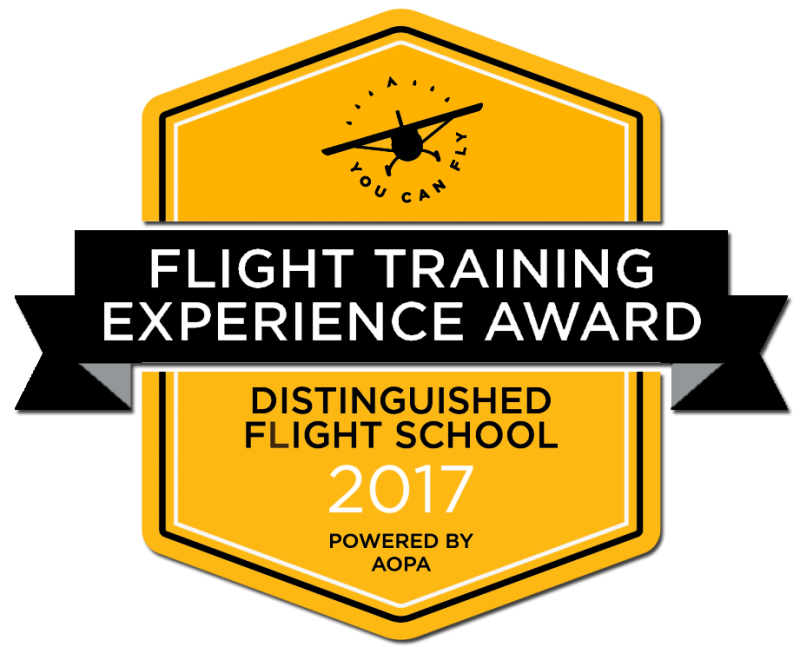 The Flight Training Award, according to AOPA data, puts BVFS within the top 4% flight schools in the USA and the top 1% of flight instructors in the country. Thanks again to our customers for choosing us and to our staff for their continued commitment to excellence. There is so much information out there and you are wondering how do you actually start flight training. We understand. If this is your very first flight in a small piston aircraft and you don’t know what to expect, then you should start with a Introductory Flight. If you already know the ropes and need to make a personalized training plan, we recommend scheduling an appointment with one of our instructors to go over your training needs in person. Either way, your first step is to contact our front desk any time from 9:00 AM to 5:00 PM, 7 days a week. Call us at 1-979-260-6322 and get started today! What type of Flight School is Brazos Valley Flight Services (BVFS)? The best kind! All jokes aside, Brazos Valley Flight Services is a 14 CFR part 61 Flight School, according to the FAA definition. This means that we have the flexibility to adapt our training to your needs and must follow the path to certification defined in part 61 of the federal regulations. 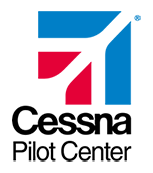 We are also a Cessna Pilot Center, which gives you the confidence of a tried and trusted training curriculum, together with beautiful, safe, and fun aircraft. 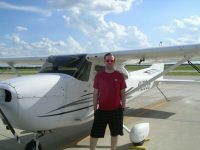 How do flight lessons work? BVFS encourages each client to fly two to three times per week on a regular basis. This schedule is considered full-time enrollment, supports consistent progress, and provides the best overall training experience. Flying less than twice per week may extend the course duration. Private Pilot students must schedule all initial training flights during daylight hours. 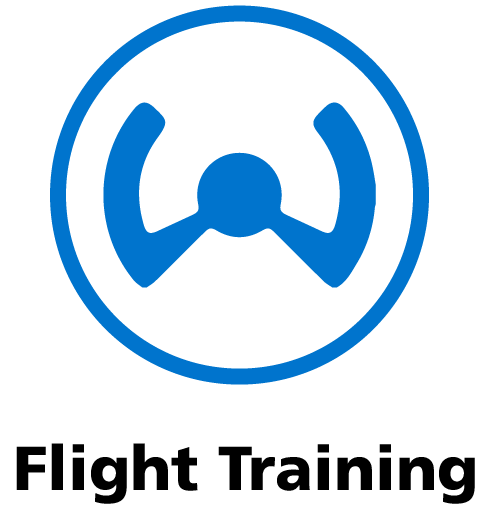 Later in the course, there are additional training flights which will be performed at night with the instructor. After certification, you may continue to fly with us by renting our aircraft to fly to your favorite destinations. 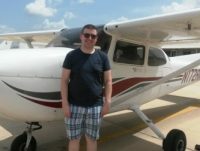 How does ground school work? 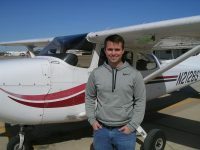 BVFS is an official Cessna Pilot Center and follows Cessna’s computer-based instruction course. 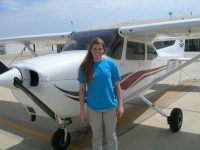 This program is a fully integrated curriculum where students view ground lessons at home on their computer or tablet and then come to the airport for reviews and flight lessons. Most ground instruction is computer directed and can be completed at home rather than in a classroom environment. BVFS instructors are available to answer student questions and provide clarifications at any time. Instructors will also complement the computer based training by probing your knowledge during the lessons and reinforcing any weak spot they perceive. 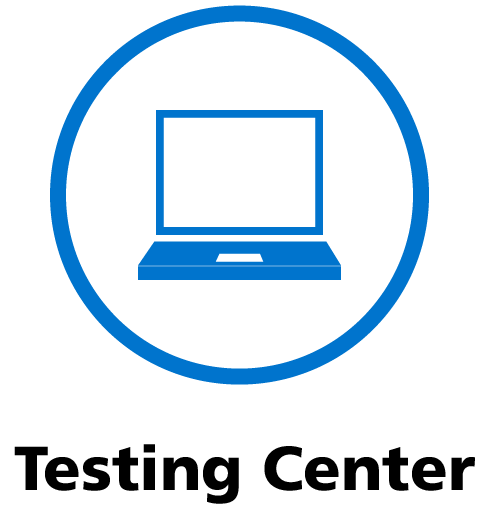 Toward the end of the training, instructors will also schedule with you comprehensive review sessions to prepare you for the practical test. The combination of online curriculum and instructor support provides a complete and effective training experience. How are students paired with instructors? BVFS employs seasoned flight instructors that are available seven days a week. We recommend that students fly with several instructors at the beginning of their flight training to find which instructor best suits their learning style. Students choose the instructor they want and may change at any time. How much studying is involved? Students should expect to spend about two hours studying and utilizing the computer-based Instruction Course before each flight lesson. Students flying two to three times per week on average and studying regularly before coming to the flight lessons can expect to finish in 3 to 4 months, weather permitting. Students flying or studying less regularly may take longer. In any case, BVFS’ instructors will make a training program that is right for your needs. Intensive training classes are also available, but there are limited slots! With Intensive training, you can complete your training in as little as 8 weeks. Contact us for more information and book your slot to ensure availability. What type of aircraft are used for training? 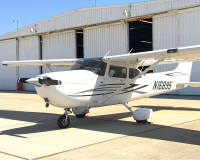 As a Cessna Pilot Center, BVFS performs all Private Pilot training in Cessna 172 Skyhawk and Cessna 162 Skycatcher. BVFS operates both the classic analog instruments (round gauges) Cessna 172’s and the new state of art G1000 glass cockpit Cessna 172’s. For Commercial, CFI ratings, and “Complex” endorsement, BVFS has a retractable gear aircraft, the Piper Cherokee Arrow (PA28R-200). BVFS will also do training in personally owned aircraft that are airworthy and well maintained. How old must you be to begin flight training? 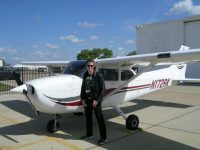 Students must be at least sixteen years of age to solo and seventeen years of age to obtain a Private Pilot’s License. 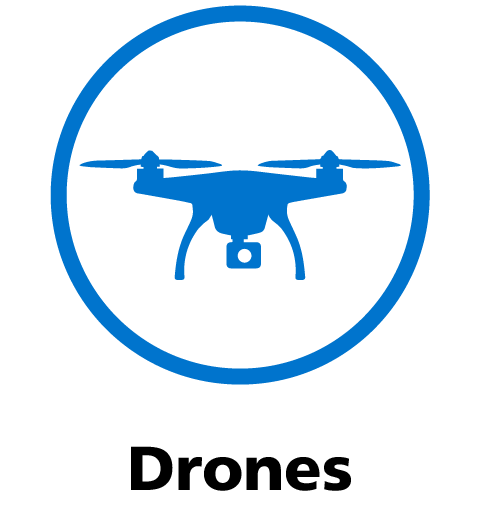 BVFS does provide training to younger students who don’t yet meet the FAA age requirements. However, for younger students, we recommend a less intensive part-time training schedule. What about foreign citizens and flight training? All non-US citizens, permanent residents included, must receive TSA approval prior to beginning flight training. 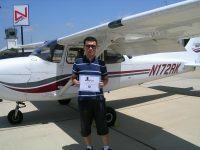 However, if a foreign student wants to try flight training before deciding to commit to the process, he/she can do one Introductory Flight without the need of pre-approval. BVFS will help you in making the TSA approval process quick and easy. Call us to get started at 979-260-6322. 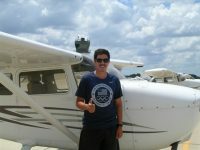 If you are already familiar with the requirements, go to www.flightschoolcandidates.gov and register. BVFS does not provide financial assistance. However, we can refer you to reputable financial assistance providers. For instance, the Aircraft Owners and Pilots Association (AOPA) can help you in financing for flight training. Go HERE to find out more. 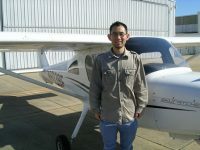 Recent solos Congratulations to Vigneshwaran Radhakrishnan on his first solo! 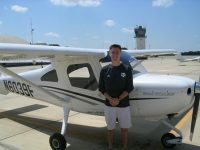 Congratulations to Dawson Mayrant on his first solo! 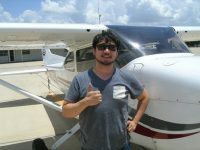 Photos from Brazos Valley Flight Services's post Congratulations Cody Peoples on his first solo! 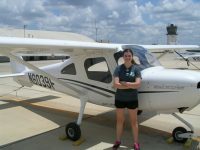 Congratulations to Mackenzi Masich on achieving her Private pilot certificate! 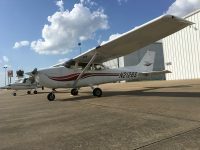 Brazos Valley Flight Services A quick look at what BVFS offers to students and pilots in the Brazos Valley and surrounding regions. Photos from Brazos Valley Flight Services's post One lucky student and instructor got an up close and personal look at a landing C-17 Globemaster today, here to bring Vice President Pence’s transportation for his visit tomorrow. 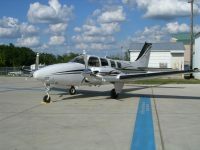 Brazos Valley Flight Services added a new photo. NOTICE: Due to a Vice Presidential Temporary Flight Restriction Brazos Valley Flight Services will close at 12pm on Friday, April 5th. 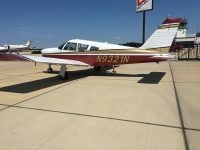 Brazos Valley Flight Services added 2 new photos. 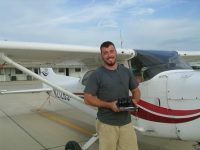 Congratulations to Nathaniel Foster for receiving his Private Pilot certificate today! 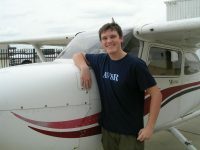 Congratulations to Noah Tinker for his first Solo yesterday evening! You can get a general idea of the costs by looking at the Getting Started page, which contains cost estimates for some common scenarios. We recommend that you contact us today for a personalized flight training estimate. Training costs can vary according to which certificate one pursues, their past training history, and the frequency of training. BVFS can provide you a detailed cost estimate which includes incidental fees and examiner fees that may not be disclosed, up-front, by other training services. Do not be misled by other quotes!